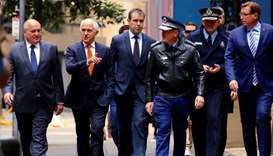 Australian Prime Minister Malcolm Turnbull on Sunday unveiled a new plan to prevent terrorist attacks, especially those conducted with vehicles in crowded public places. 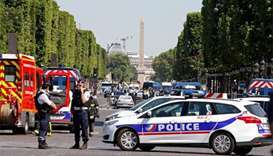 A car loaded with gas canisters rammed into a police van on the Champs-Elysees avenue in Paris on Monday, leaving the driver dead in what the interior minister said was an "attempted attack". 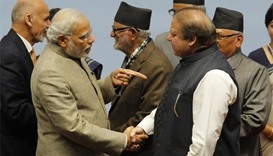 A key South Asian summit was in doubt on Wednesday after India and three other countries pulled out following a deadly attack on an army base that New Delhi blames on a Pakistan-based group. 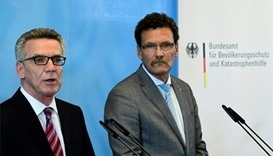 Germany on Wednesday urged its population to stockpile food and water to prepare for possible terrorist or cyber attacks, as it adopted its first civil defence strategy since the end of the Cold War. 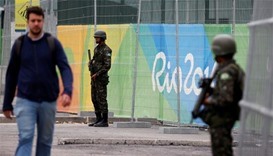 Brazilian police have arrested 10 members of a group allegedly planning terrorist attacks during the upcoming Olympic Games, Justice Minister Alexandre de Moraes said on Thursday. Islamic State militants have slipped into Europe disguised as refugees, the head of Germany's domestic intelligence agency (BfV) said on Friday, a day after security forces thwarted a potential IS attack in Berlin.